US Federal Reserve Raises Discount Rate: What is the Economic Significance? In a move that took the financial markets by surprise, the US Federal Reserve Board on Thursday announced that, effective Friday, it was raising its discount rate by a quarter point, from 0.50 percent to 0.75 percent. The action marked the first interest rate increase since December 2008, when, at the height of the financial crisis, the US central bank lowered its key federal funds rate to between zero and 0.25 percent and set its discount rate a quarter point higher, at 0.50 percent. The discount rate is the interest the Fed charges for emergency loans to commercial banks. The federal funds rate is the interest charged for overnight loans between banks. The latter plays a far greater role in setting interest rates throughout the economy, affecting inter-bank loan rates, borrowing rates for businesses, mortgage rates and interest on consumer and small business loans. But while the hike in the discount rate will not directly impact loan rates more generally, it is an unmistakable signal that the Federal Reserve is unwinding the extraordinary measures it took to pump cheap credit into the economy and bolster the housing market and consumer spending, and suggests that the central bank may begin to raise the federal funds rates sooner than had been anticipated. The significance of the measure was underscored by its timing. Last week, Federal Reserve Chairman Ben Bernanke had said the central bank would begin to raise the discount rate “soon,” but most analysts assumed such a major move would come, at the earliest, during the next meeting of the Fed’s policy-making panel, the Federal Open Market Committee (FMOC), set for March 16. By announcing the increase between meetings of the FOMC, the Fed, whether intentionally or not, seemed to impart greater significance to the change. Whatever the near-term consequences of the discount rate hike, the action signals a turn by the Fed to disengaging from its previous policy of flooding the banks and financial markets with cash to tightening credit in order to rein in exploding federal deficits and a rapid growth in the US public debt. It parallels the moves by the Obama administration to impose austerity measures on the working class in order to pay for the multi-trillion-dollar bailout of the banks. Significantly, the Fed’s announcement came on the same day as Obama’s appointment of a bipartisan panel to recommend severe cuts in spending and benefits under the nation’s core social programs—Medicare, Medicaid and Social Security. The panel, headed by right-wing representatives of the two parties—Republican former senator Alan Simpson and Democratic former White House chief of staff Erskine Bowles—will also propose regressive taxes on consumption to impose the full brunt of the economic crisis on the working population. It also coincided with a report on producer prices showing a sharp rise of 1.4 percent in January. According to the Wall Street Journal, US wholesale prices are up 4.6 percent over a year ago and rising at an annual rate of 9.8 percent in the past six months. In its Thursday statement, the Fed announced a number of additional measures to unwind programs that had been put in place to boost the financial markets. Effective March 18, the repayment period for banks taking out emergency loans from the Fed will be reduced to overnight from 28 days. The Fed also raised the minimum bid rate for loans from its Term Auction Facility—a program it instituted at the height of the credit crunch to provide cheap credit to banks—from 0.25 percent to 0.50 percent. 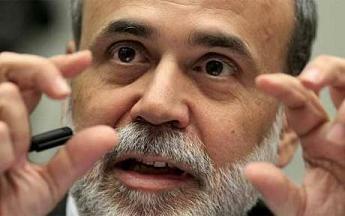 The Fed plans to end the program after its final auction on March 8. The Fed also plans to end its purchases of mortgage-backed assets from Fannie Mae and Freddie Mac at the end of March. This program, under which the central bank bought hundreds of billions dollars worth of mortgage-backed securities, played a major role in staving off a complete collapse in the housing market and consumer spending. In its statement, the Fed also indicated that it might impose further hikes in the discount rate in the coming months. The Fed went out of its way to reassure the banks that it would not end its policy of cheap credit, by raising its federal funds rate, any time soon. The major banks have reaped huge profits over the past year as a result of the Fed’s cheap credit policies, which have produced record spreads between short-term and long-term interest rates. The banks have cashed in by borrowing at extraordinarily low short-term rates and lending at far higher long-term rates, and by using their government bailouts to speculate on stocks, bonds, currencies and commodities. When after-market trading on Thursday indicated a possible run on bank stocks when markets opened Friday, a number of top Fed officials issued statements portraying the rise in the discount rate as a technical measure that did not reflect a change in the Fed’s cheap credit policy. Largely as a result of this intervention, stocks in Europe and the US closed slightly higher on Friday. The very fact that the Fed is portraying its discount rate hike as a response to improved economic conditions underscores the social and political priorities of the US central bank. Under conditions of near-Depression levels of unemployment, and growing poverty, hunger and homelessness, the Fed is, in effect, declaring that the time has come to impose fiscal discipline and stave off the threat of inflation by carrying out measures that will ensure a heightening of social distress. That this is the agenda behind the Fed’s move is underlined by a series of recent statements by top Fed officials. On Tuesday, Thomas Hoenig, president of the Federal Reserve Bank of Kansas City, gave a speech to the Pew-Peterson Commission on Budget Reform in Washington in which he called for the Fed to sell off its holdings in mortgage-backed securities—a move that would likely collapse housing prices—and demanded that the government impose draconian austerity measures. Hoenig was the only member of the FMOC to vote against its decision last month to maintain the federal funds rate at near-zero, saying he objected to the committee’s statement reiterating a policy of “exceptionally low” interest rates for “an extended period.” According to the February 17 Financial Times, Hoenig said that “stunning” deficit projections were placing political pressure on the Fed to keep interest rates low and increasing the risk of inflation. On February 10, Richard Fisher, president of the Dallas Federal Reserve Bank, told the World Affairs Council of Dallas-Fort Worth that interest rates on US Treasury securities had been kept artificially low by the willingness of China to buy US debt and the sovereign debt crisis of European countries such as Greece. James Bullard, president of the St. Louis Fed, said in an interview last week that it was necessary for the Federal Reserve to consider withdrawing from its “unprecedented monetary policy” since 2008. The demands for monetary tightening and fiscal austerity come in the midst of signs that the US debt crisis is intensifying. Foreign demand for US Treasury bonds fell by a record amount in December, with net purchases of long-term US securities declining to $63.3 billion from $126.4 billion in November. A major component of this fall was China’s selloff of $34.2 billion of its holdings in US government debt. The dumping of US bonds by China left Japan as the biggest holder of US government debt, with $768.8 billion.